We’ve seen plenty of financial reports over the past few months showing how Chinese phone manufacturers are growing rapidly. 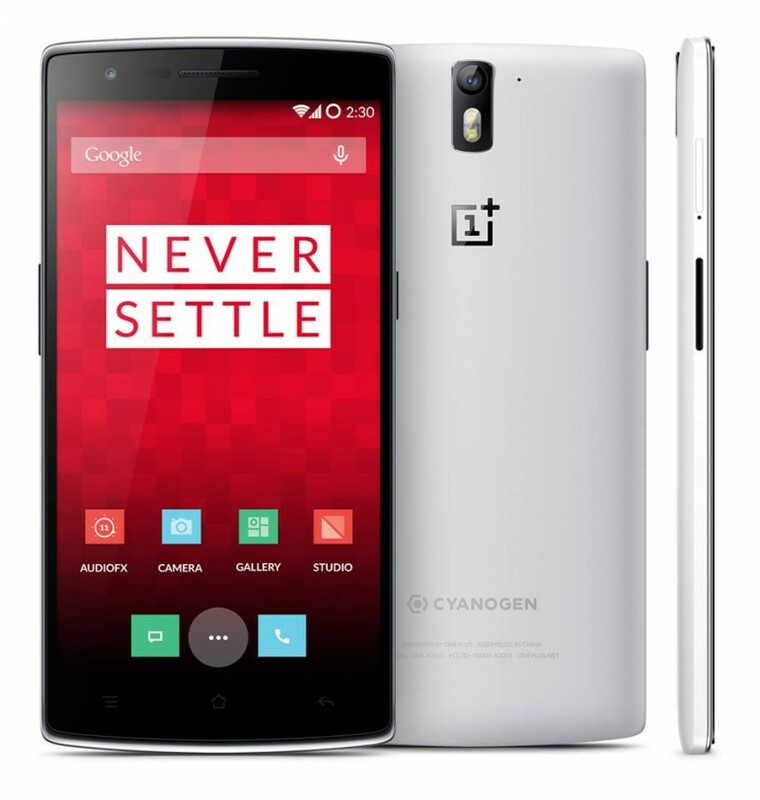 However, we hardly see anything about one of the most popular Chinese player out there – OnePlus. With only one smartphone to offer, how did the company do for the past year? Pretty amazingly actually. OnePlus recently released an infographic to show the company’s growth overall. 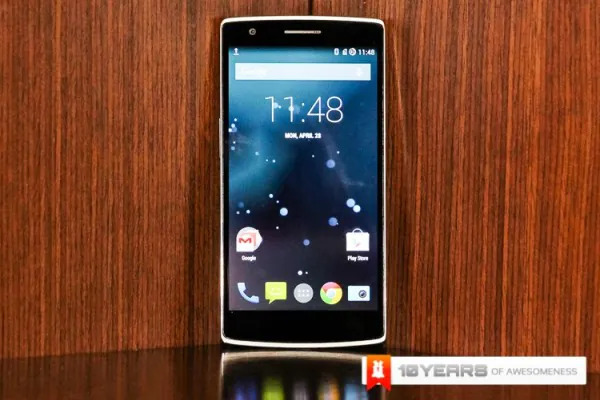 The company was formed in December 2013 and currently has only one smartphone to offer – the OnePlus One. The device was announced nine months ago and is only officially available in a handful of countries, and requires an invitation before anyone can buy one of their own. Despite the restriction, the company has been doing very well as a whole. They scored a revenue of over US$300 million and while they did not mention the number of devices and accessories they’ve sold, according to the infographic, the company has shipped 1,055 tons of merchandise – that’s equivalent to 6 blue whales. As for their team, they started off with 6 employees in December 2013, and grew to 88 in December 2014. The global employees has 13 nationalities with an average age of 25.6 years old. Other interesting figures includes their forum and social media growth over the past year. In December 2013, they had only 24 posts in their forum. 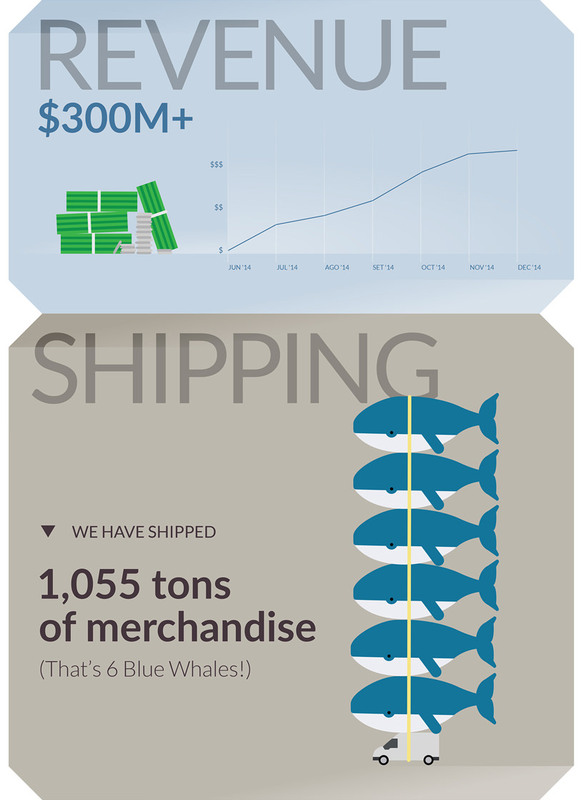 As of December last year, the number grew to a whopping 8,656,060 – that’s a major jump! As for social media, there are over 1 million fans on Facebook, 46,000 followers on Instagram, 190,000 followers on Twitter, and 156,000 followers on Google+. 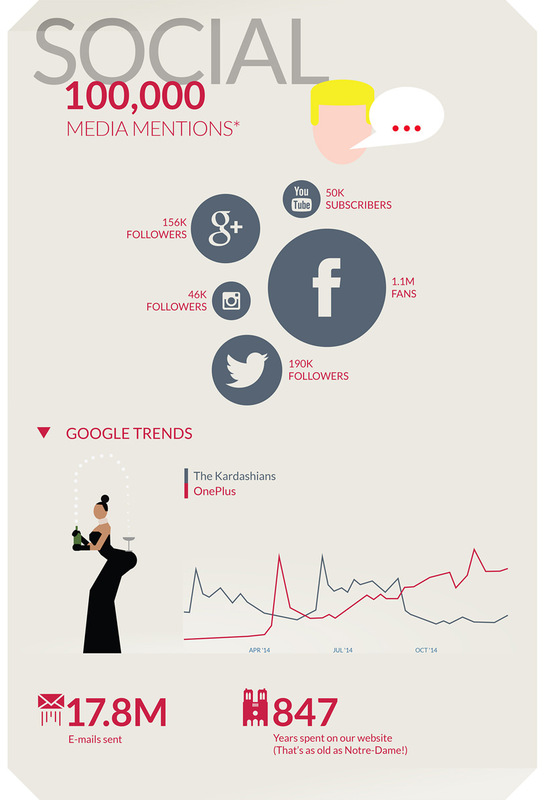 Speaking of Google, the infographic shows how OnePlus trended on Google compared with “The Kardashians”. Check out OnePlus to see their Annual Report 2014.